In November 1943 SS-Standartenführer Paul Blobel, the officer in charge of Aktion 1005 (later executed for his numerous crimes against humanity) came to Belgrade to organize the destruction of the evidence of the Nazi crimes at Sajmište concentration camp. This plan, devised by Heinrich Himmler when the war turned against Germany, was to disinter and burn the bodies of the murder victims. Blobel organized a unit of fifty Sicherheitspolizei and German military police, and 100 Jewish and Serbian prisoners to carry out this gruesome task. Similar actions were undertaken at about the same time at other locations where the Nazis had murdered and buried large numbers of people, for example, at Rumbula in Latvia and Belzec extermination camp in Poland. In 1944, Sajmište was hit by U.S. bombers in raids, which killed 80 people at the camp and injured 170. The bombers' intended target was the nearby railway station. Sajmište is still not a memorial center. The location is proclaimed a "Cultural Heritage of city of Belgrade" in 1987, and a monument was erected on April 21, 1995. A campaign to create a memorial center was initiated in April 2006. 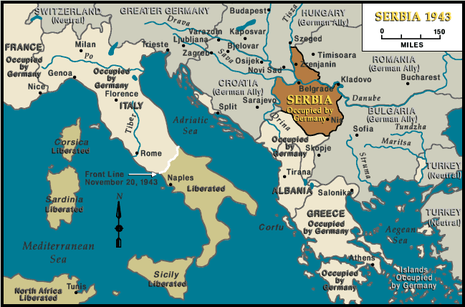 Germany occupied Serbia, instituting a military government in 1941. 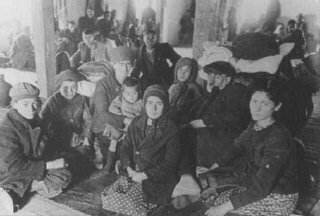 Almost all Jews were interned in concentration camps--in Topovske Supe, Sajmiste, Schabatz, and Nisch. In August 1941, most of the interned male Jews were shot. 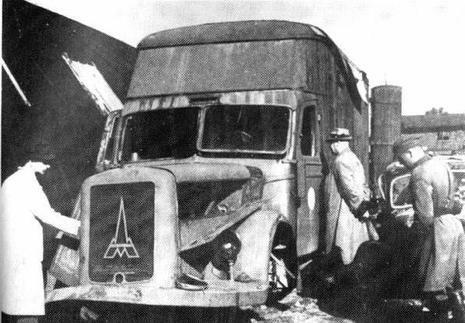 In 1942, the SS brought a gas van--a truck with a hermetically sealed compartment that served as a gas chamber--to the Sajmiste camp, where a majority of the Jewish women and children had been interned. At least 8,000 Jewish women and children were killed in this way by the end of May.